The long list of calls settled itself into the monotone of routine. “Hi, my name is Erik, and I’m calling for Jim Scheibel, your DFL candidate for Mayor of Saint Paul.” The 1989 election was going to be close, so Get Out The Vote (GOTV) calling to loyal Democrats was important. But just as I let the script propel my calls with their own momentum the soft gravely tone on the other end split the evening open. We’ve been “letting” women vote for 97 years, ever since Tennessee ratified the 19th Amendment on August 26th, 1920 by just one vote. The anniversary of this landmark event, “Women’s Equality Day”, is a good time to reflect on how young and precarious this precious foundation of democracy is for half the population. 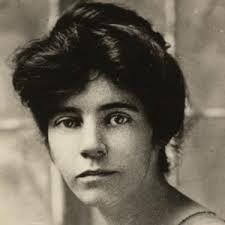 Alice Paul, champion of the Suffragette movement that led to the 19th Amendment. Voting is the basic, fundamental right that defines our nation. There is currently a debate as to whether voter fraud is rampant enough to require restrictions and IDs which make it more difficult or if that is inherently unconstitutional. It’s a tricky subject because there is no more basic foundation to our democratic republic. It may seem surprising that less than a century ago fully half of the population was not allowed to exercise this basic right. The anniversary is worth noting every year, especially as we head into the centennial. No one has specifically targeted women’s voting yet, so on this anniversary we are safe celebrating a victory that still remains unchallenged. But the principle of voting as a universal right of every citizen is very much under assault, and this is as good of a day to remember it as any. Voting has not always been viewed as a fundamental right for all persons, not by any possible read of history. While Alice Paul stands out as the crusader that finally won the right to vote, beautifully documented in the movie “Iron Jawed Angels“. If you want to celebrate Women’s Equality Day, inviting friends over to view this movie is not a bad way to do it. Make popcorn. But the path to equality was long and hard, consuming the lives of Susan B. Anthony, Elizabeth Cady Stanton, and even Frederick Douglass, to name a few crusaders who did not reach the promised land. The trail starts at the very beginning of our nation with the first attempts to legalize feminine ownership of property, with Abigail Adams. The Founding Fathers didn’t listen to her, sadly. Sometimes, to this day, we have to still ask ourselves that question. But for all that those brave men tried to anticipate, they missed on very big thing – something that has come to define every generation of Americans ever since then who has taken up the challenge to be the founding parents of a new nation, constantly reborn. 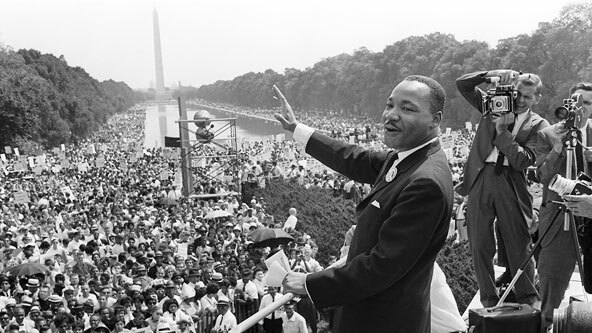 The continuous if slow advancement of civil rights and the expansion of the definition of liberty defines this nation like no other. This is what makes us a nation unique in the world. The experiment worked far better than its creators could imagine. The questions were all eventually answered. 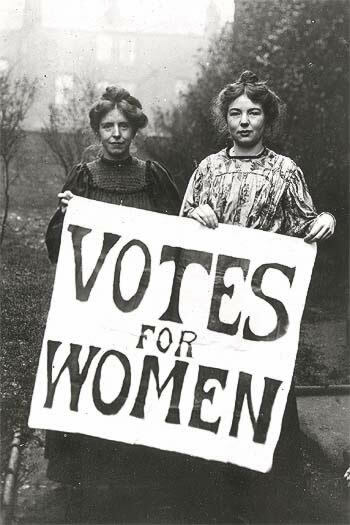 Voting was expanded beyond property owners, to freed slaves, and to women. Those rights were secured with legislation unequivocal in its scope and power. One of those landmarks was passed 97 years ago – within the lifetime of people still alive. It’s worth celebrating. But how much can we celebrate when there is a new assault that threatens to turn the march of civil rights backwards, in a profoundly un-American way? How do we celebrate this victory when other defeats surround us? Those questions are easily answered. The movement to turn away citizens from exercising the most basic right of all to anyone who loves freedom and democracy have to be turned back. Remember today how young the right to vote is for half of our population and let’s all be glad that we live in a nation defined so clearly by steady progress in the rights of all. The right of all citizens to vote is the most basic right that defines us. Any attempt to turn that right back for one group is an assault on us all, as a nation. Today is a good day to remember that. This entry was posted in People & Culture and tagged voting, women's rights. Bookmark the permalink. It seems like a long time ago but it really wasn’t. We have come a long way from being slaves but still aren’t paid the same.